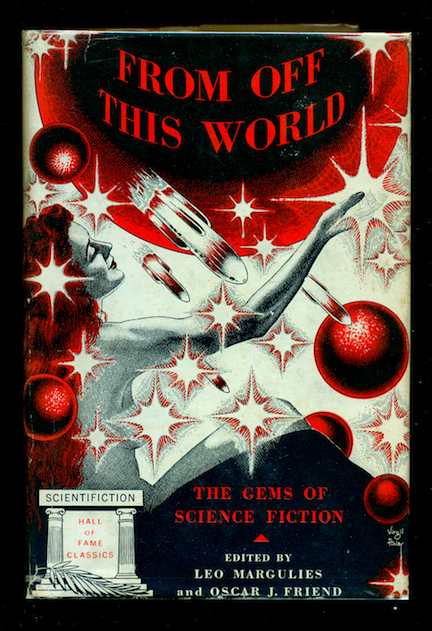 This evening I’m adding more than two dozen new items to the site’s Collectibles for Sale section, most of them first-edition hardcovers of Western, detective, and science-fiction titles, including a handful of rare fantasy/sf anthologies culled largely from the pulps. 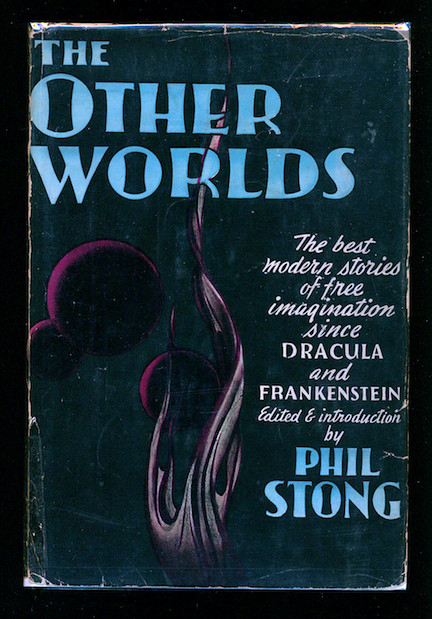 Among the latter are Donald Wollheim’s Flight Into Space, Phil Stong’s The Other Worlds, and the seldom-seen From Off This World, compiled by “Thrilling Group” editors Leo Margulies and Oscar Friend from the “Hall of Fame Classics” reprinted in Startling Stories. 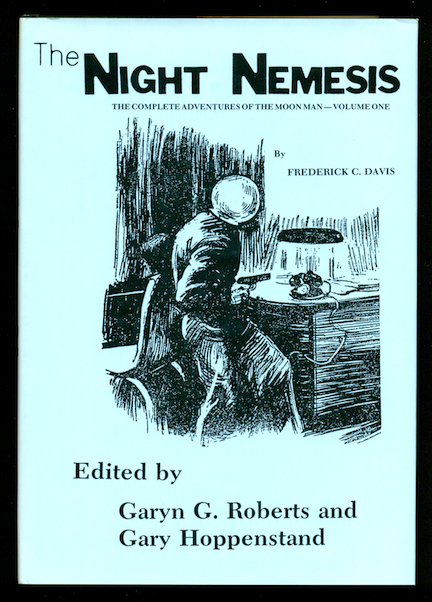 There’s also a like-new, unread copy of The Night Nemesis, a long-out-of-print collection of “Moon Man” mysteries by Frederick C. Davis. 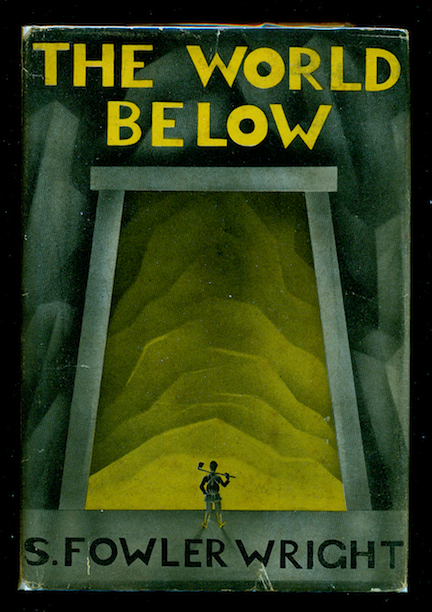 Other goodies: two first-edition anthologies of Raymond Chandler’s Black Mask and Dime Detective stories, Red Wind and Spanish Blood; the scarce hardcover edition of Richard S. Shaver’s notorious I Remember Lemuria; a signed As New copy of William F. Nolan’s The Black Mask Murders; and jacketed first edition of S. Fowler Wright’s fantasy/sf classics The World Below and The Island of Captain Sparrow. And more! 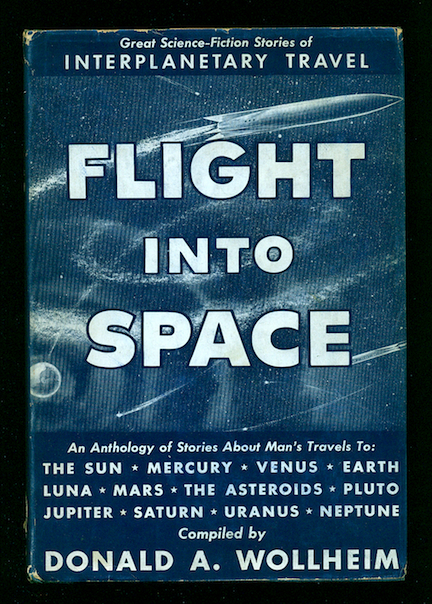 My last batch of vintage hardcovers sold out within days, with many of the books going to dealers who will no doubt mark them up considerably. So if you’re tempted by any of these new offerings, don’t waste any time pulling the trigger!